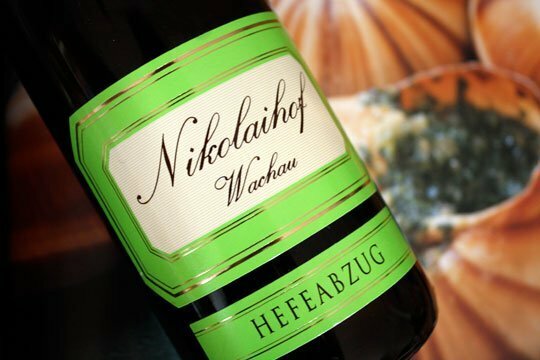 Discovering the wines of the Wachau Valley is one of the great pleasures enjoyed by guests on the many cruise ships traveling up and down the Danube River from Germany to Budapest. This area is rich in unique wines that pair beautifully with dishes served in the Viking River Cruise diningrooms, as well as other cruise lines. The collection of outstanding local wines served represent a fine collection of wine that is never tasted in the US. They produce a limited amount and according to a local vintner �we drink it all and only distribute to vendors in our immediate area.� Guests can purchase special wine packages to insure a sampling of special wines of interest before they board ship, or they can meet with the sommelier to sellect their wines when they board. Steep terraces create noble grapes for monumental wines. The Wachau is a UNESCO world heritage sit and region of natural beauty that lies in the Danube valley between the towns of Melk and Krems. The varities Gruer Veltliner and Riesling prevail on 1,350 hectares, partly on very steep-inclined terraces. The best vinyard sites produce some of the best white wine in the world with decades of aging potential. Steomfeder' (named after the tall, feather-like grass stipa pennata). The most common category is the 'Federspiel', with 11.5% to 12.5% alcohol by volume, and the late-harvest, rich and powerful, dry wines carry the term 'Smargad'. The Wachau is one of Austria's most exciting and fascinating wine regions. Over millions of years, the Danube has gorged its winding waterway through the consolidated gneiss and amphibolite. The crystalline rock soils on steep terraces produce outstanding Rieslings. During the Ice Age vegetation cover was poor and, prevailing winds carried drifting sand that settled in the lee of the east-facing crystalline hillsides, resulting in layers of loess. This is where great, opulent and expressive Gruner Veltliner is cultivated. The extremely diverse geological terrain, coupled with the construction of terraces in the best aspects, and the cultivation of vines on these steep inclines by the Bavarian monasteries during the Middle Ages, has resulted in a spectacular and unique Wachau landscape. The climate plays a vital role, and two major climatic influences, the western Atlantic and the eastern Pannonian, interlock with each other. Furthermore, each single vineyard has its own microclimate, depending of its incline, exposure to the sun, soil terrain, as well as factors as the dry stone walls and cliffsides that absorb the sun's heat during the day. The effects of the hot, dry summer and the harsh winter are evened out by the influence of the river Danube, and cool evening breezes from the more northerly Waldviertel region increase the diurnal effect of day and night temperatures during the important months prior to the harvest. It is thanks to this subtle factor that the fine and precise aromatics of grapes can develop, be in the cooler vineyards in Spitz or the warmer sites in Loibenberg. 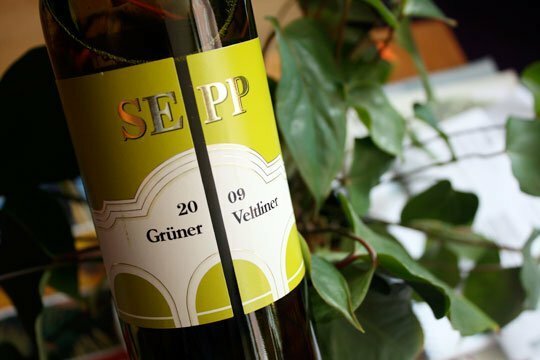 This character often gives the wine a cool fruit flavour with subtle tropical fruit notes, ranging from the lean, light-bodied Steinfeder, through the lean.structured Federspiel and the rich style of the Smaragd. The exquisite Melk Abbey has it's own winery and produces lovely wines that are for sale in their gift shop that are produced from Wachau Valley grapes. It is said the monks brought some of the vines to produce the wine in this area, but how ever it happened the wine is outstanding. This revered Abbey offers the most amazing views of the valley, and offers an endless amount of detailed information on the Austrian history of the Abbey, founded in 1702. Upon visiting the historic ambience of the Wachau, it is a must to seek out critically acclaimed producers and recommended restaurants, and these are often within walking distance of each other, for example in Spitz, Wei�enkirchen, Joching, up to D�rnstein and Loiben. The southern bank of the Danube is also well worth a trip. 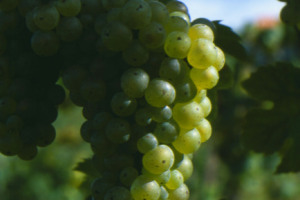 Alongside Riesling and Gruner Veltliner, the sovereign varieties with exceptional cellaring potential, the indigenous zneuburger, alonacclaimed producers and recommended restaurants, and these are often within walking distance of each other, for example in Spitz, Wei�enkirchen, Joching, up to D�rnstein and Loiben. The southern bank of the Danube is also well worth a trip. Alongside Riesling and Gruner Veltliner, the sovereign varities with exceptional cellaring potentional, the indigenous Neuberger, along with Gelber Muskateller (Muscat blanc) and Sauvignon blanc offer an exquisite taste sensation. For wine package information on a Viking River Cruises visit www.vikingrivercruises.com.